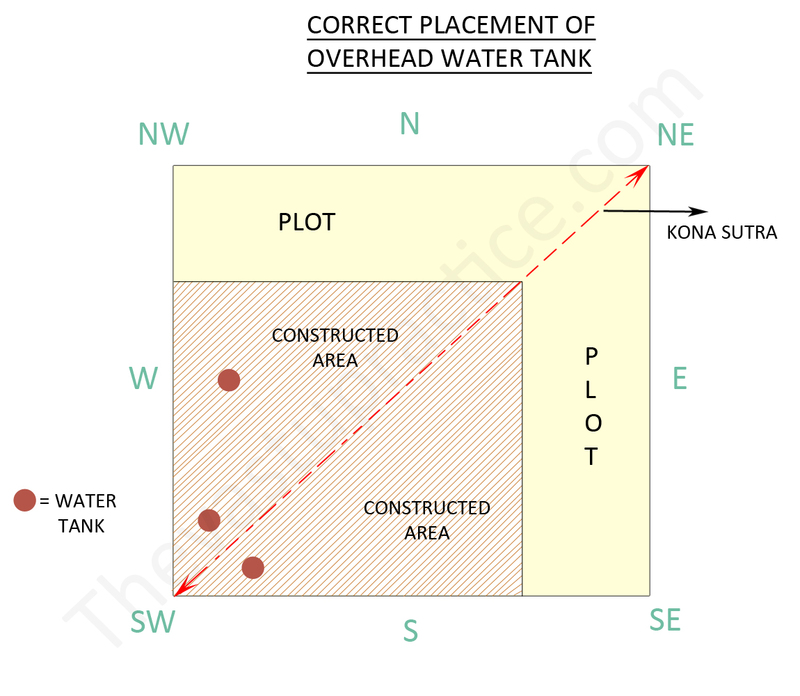 The overhead water tanks should be in the West or the South-West zone of the building. They should not be placed on the Kona Sutra. They should never be in the center or the Brahmasthan of the building.